Being a Confident Mom in China | WWAM Bam! 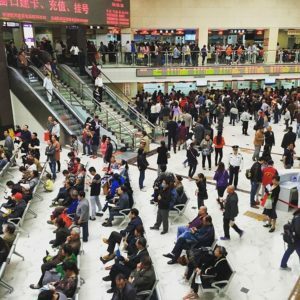 Being a foreign mom in China is just like being a mom anywhere, except with an audience. Back when I only had one child, I just tried (and failed) to do everything perfectly so onlookers wouldn’t have anything to critique. But now that I have two kids, I have turned over a new leaf. I’ve learned that not every comment is an attack. Some people just find a foreign mom with two kids to be interesting and want to strike up a conversation. Usually the ubiquitous, “Isn’t your baby cold?” is just like, “Aren’t you cold?”—it’s a way to show care. Going out as a foreign mom in China means getting endless questions. Some questions should just be answered with a polite nod and a smile, but others can lead to an interesting conversation. I try to explain my ideas and methods to people when they ask. Oftentimes they say that my ideas make sense, even if they wouldn’t do the same. When I’m out with two kids I really appreciate a little help. Kind strangers open doors for me, offer to carry things for me, or want to play with my kids. As long as my kids are safe, I think this is great. Accepting help allows me conserve my energy so I can use it to take care of my little ones. While it’s tempting to find faults in others to make yourself feel better, I’ve noticed this actually has the opposite effect. If I think positively about others, I will feel that they’re thinking positively about me. As a foreigner in China, it can sometimes feel like your every move is being judged. But in reality, any given person who sees you will most likely forget you the next day. Every person you pass is living their own life with their own struggles and insecurities. 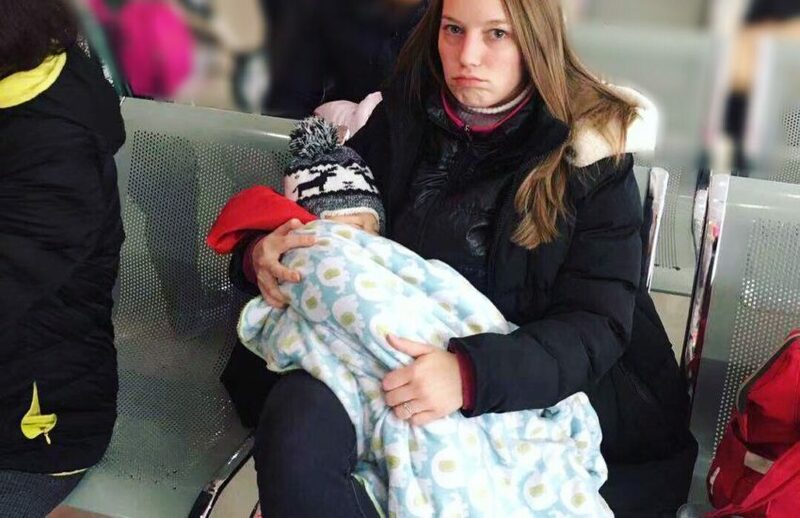 So next time your child has a meltdown in public and you feel like the worst mom ever, just remember that in the best way possible, no one really cares! Parents, have you ever had a difficult time dealing with unsolicited comments when out with your kids? What strategies do you use to keep up your confidence? Julia is from Seattle, Washington, USA and has been married to her Chinese husband for 5 years. They have 2 kids and a dog and live in Chongqing, China. Thanks for reading Kate, best of luck! Thanks for sharing Julia, I’m glad you have some strategies that are working for you. I noticed a difference when I visited – and I’m so happy for you! Great advice! I was nodding along while reading. Thank you for reading Christy! So good. Delightful piece filled with wisdom, humor, and insight. You sound like a wonderful person!